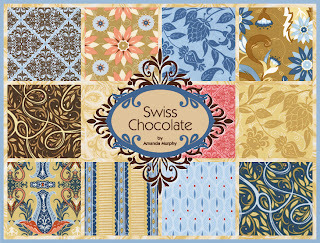 In celebration of this giveaway I have written up a recipe with this goody for my exclusive Chocolate Torte! 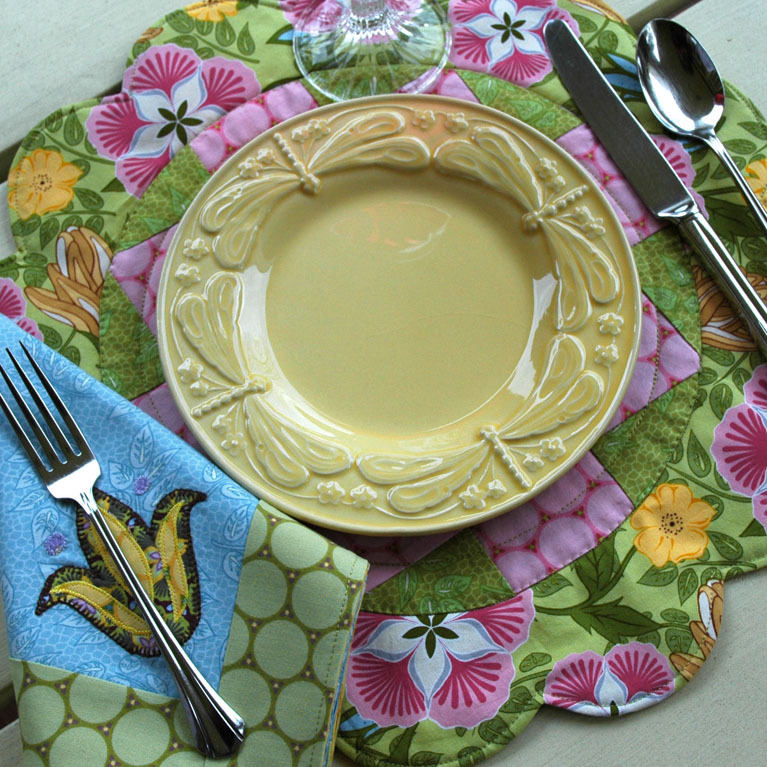 To hear more of my blabbering and to download the recipe, visit Fat Quarterly's site. 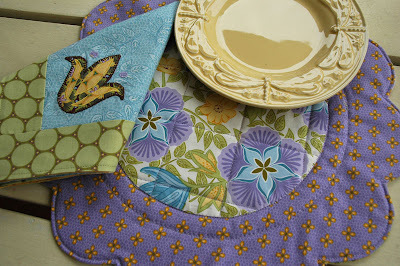 The deadline for the giveaway will be Saturday, February 5th. 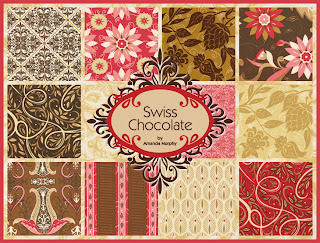 If you'd like some Swiss Chocolate, please ask your local shop to order it from Robert Kaufman Fabrics. 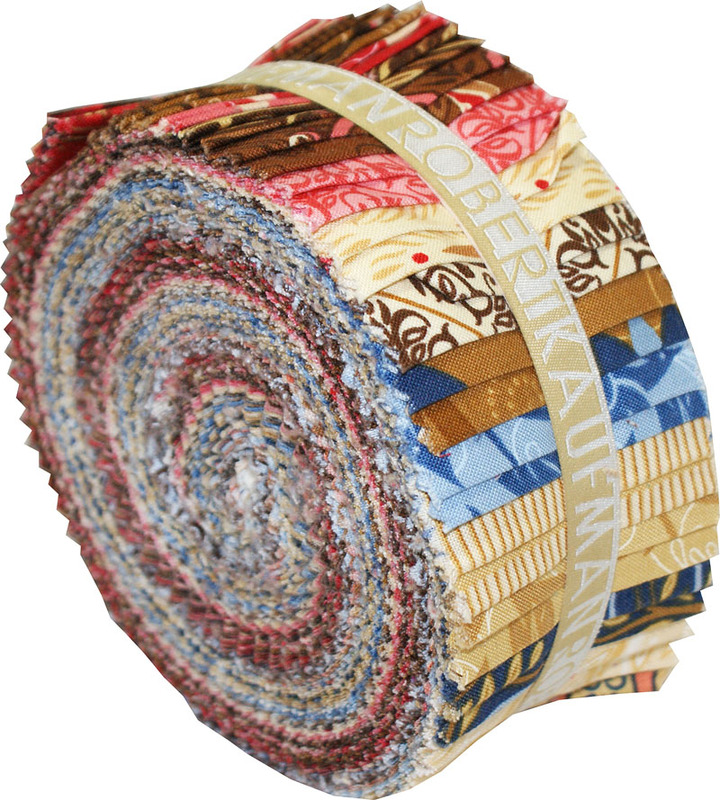 (Fat Quarter Shop has yardage too, but no one has a roll-up yet, so if you win, you'll be the first!) 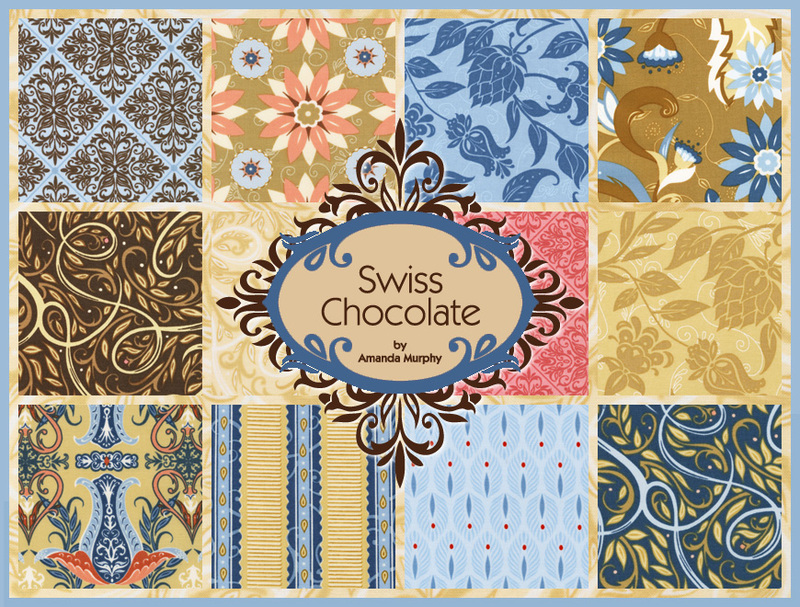 Swiss Chocolate ships February 20th! 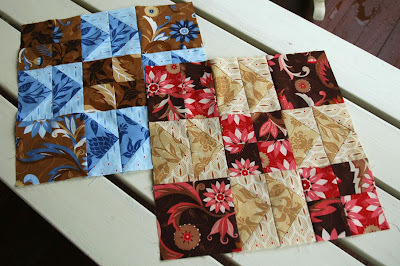 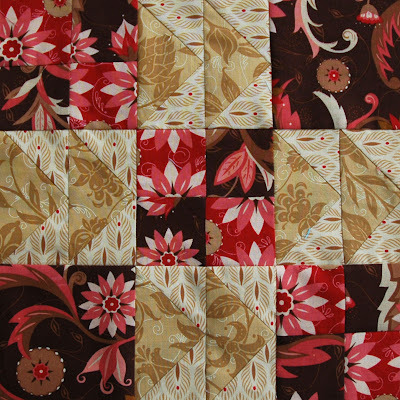 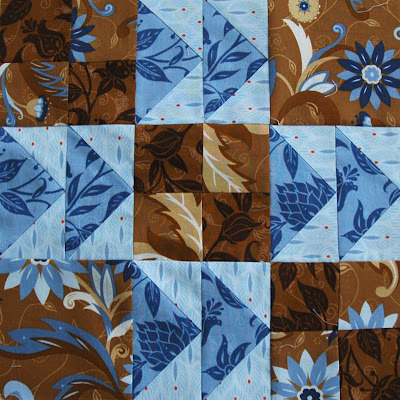 Some very talented bloggers out there have gotten together to put on a "Bloggers' Block-a-palooza Quilt Along"! They are posting a block every Monday and every Thursday starting this week. I think this is a great idea and decided to follw along. 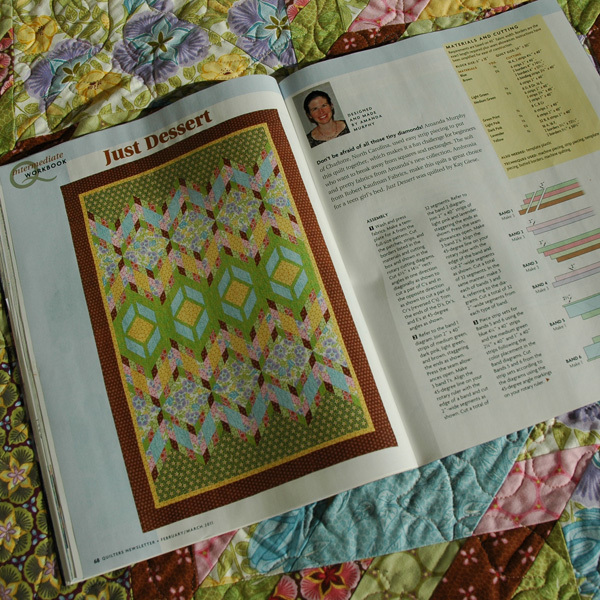 John, of Quilt Dad, designed the first block, and you can find instructions on his blog. They are really clear and also available in .pdf form for printing. 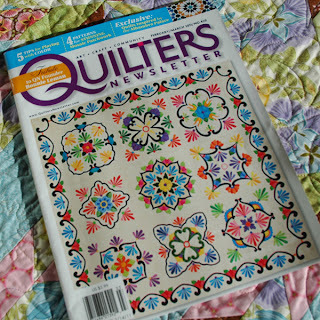 If anyone out there has sewn some beginner quilts and want to expand their techniques, quilt-alongs can be a great way to find the expertise and support one needs to take the next step. 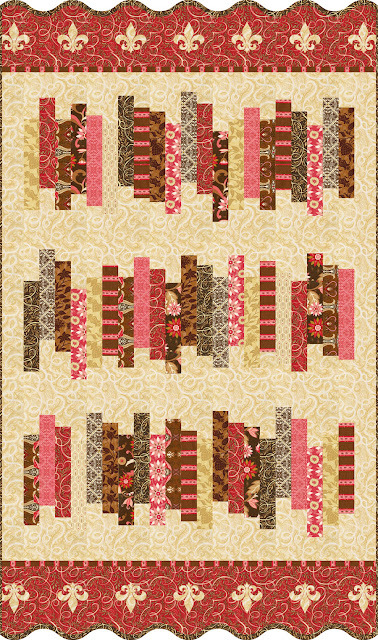 I knew I wanted to use Swiss Chocolate for my blocks, but couldn't decide upon a color story, so I did one in chocolate and one in mocha. I still can't decide which I like best, so I might have to do every block in both! I can't wait to see what other people sew and post to the flickr group! 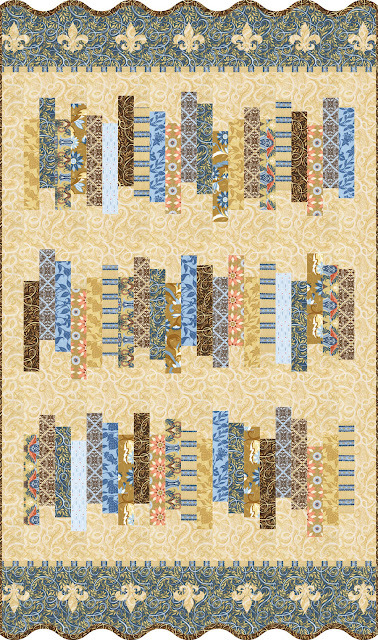 This morning I uploaded my new complimentary pattern, "A Well-Dressed Table"! 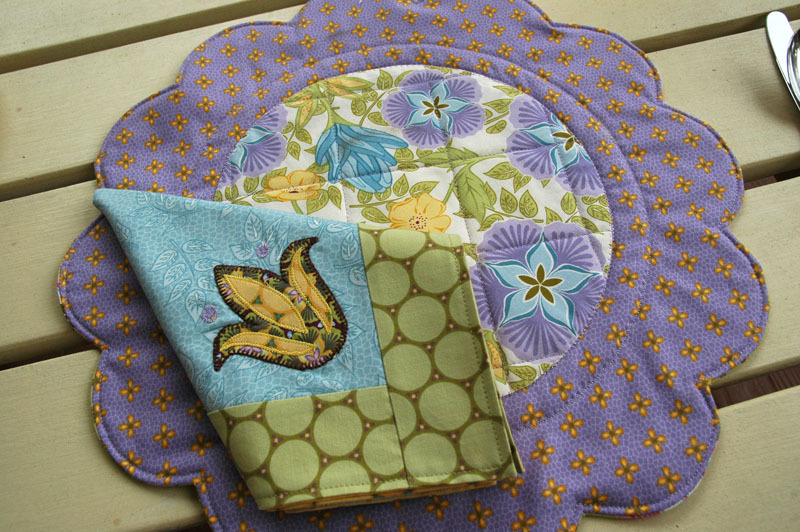 It features reversible blossom-shaped placemats in my Ambrosia fabric with matching lined napkins. 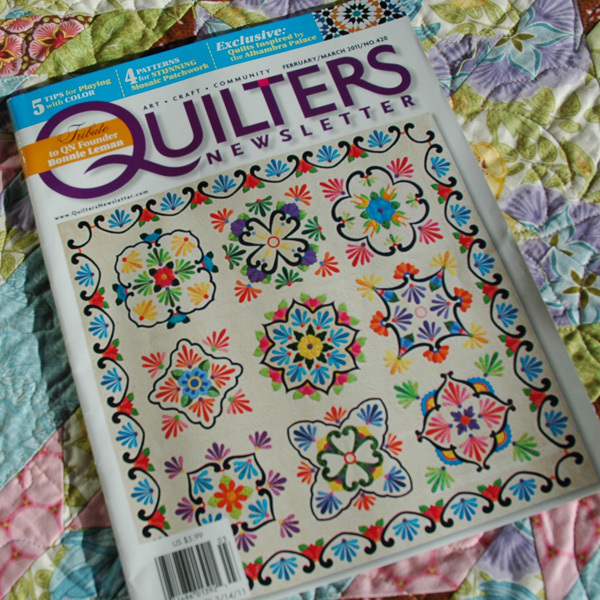 The February/March version of Quilters Newsletter came today. Also in this issue, a GREAT memorial article on Bonnie Leman. Julie, of Jaybird Quilts, emailed me a link to an image she found this morning. 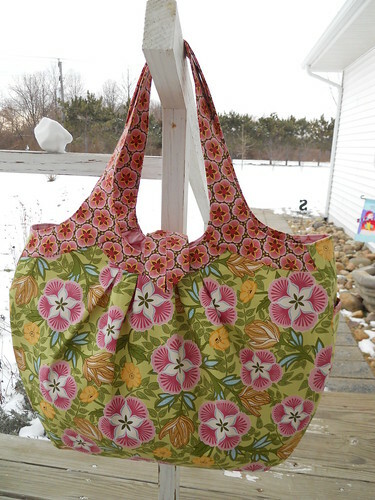 Tina, thanks for making this bag in Ambrosia! 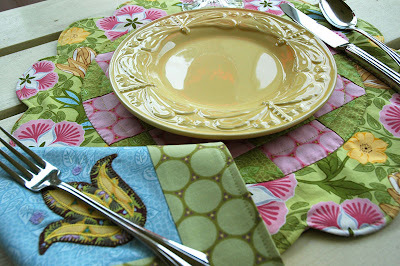 I love the springtime colors I LOVE it! 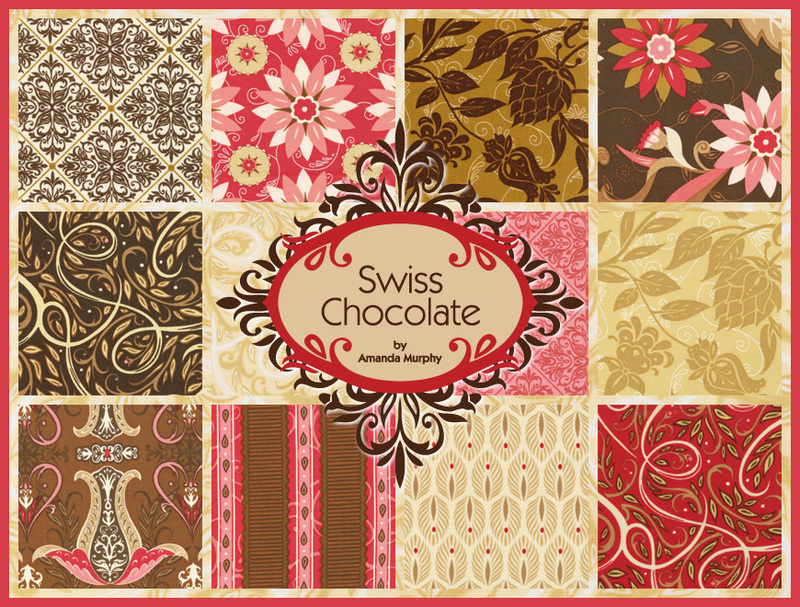 Even better, Fat Quarter Shop is sponsoring a give-away of two Swiss Chocolate fat quarter bundles - one in "chocolate" and one in "mocha"!!! 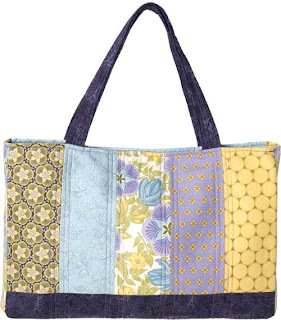 You have until the end of Wednesday, January 12th. Visit Jolly Jabber for more info. 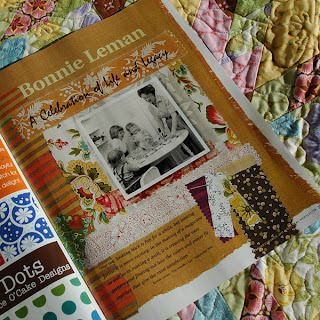 If you get a chance while you are here, I'd love it if you would become a follower of my blog. Thanks!